There you have it, your own mind map. But wait, thing is, you wanted people to see this. You wanted them to understand and analyze things the way you see it. Are you sure that your mind mapping contents are enough to be shown? If you wanted to utilize your map to be able to communicate the information you have to other people, you have to review everything critically. Does your idea communicate in an organized and understandable manner or is it still vague to you? If it seems vague, its time you start optimizing mind maps that you drew. It is a rule that when you convey something, you have to understand the information you are giving out or else your name and reputation will be in jeopardy. The ideas should communicate in an unambiguous and clear manner. For someone who is seeing the ideas on your map for the very first time, he or she should make sense out of everything including the hierarchy of importance of the different sub-topics and topics. Your wording and topic must coincide with each other so as not to confuse people who will see it. Neatness should also be maintained. Whether you like it or not, people are going to barge in their opinions and comments regarding your map. Their judgments will be all based on how you have constructed your map. Their views will be concerned mainly with how they have clearly or vaguely understood the ideas that you have presented. That is why it is important that you present the kind of appeal that is ideal for them to see. Below are some tips on how to fully optimize your map in a way that people will appreciate and not criticize. Ask yourself a lot of things. It is through being intuitive that you learn on how to handle your situation. Ask yourself about the map that you have done. Does the entire topic which is connected with some sub-topics co-relate with each other? Or are there ideas that are not really relevant to what you are trying to convey? Be creative enough to move certain topics and put them in place if things are not making sense any longer. You’ll never know it may just make sense at that angle. This process can increase the completeness and value of your map. Collapse the map. Don’t tear it all down just collapse its meaning, you have to shatter the contents of your map in order to achieve topmost topics which are considered as the most important ones and are mainly visible. 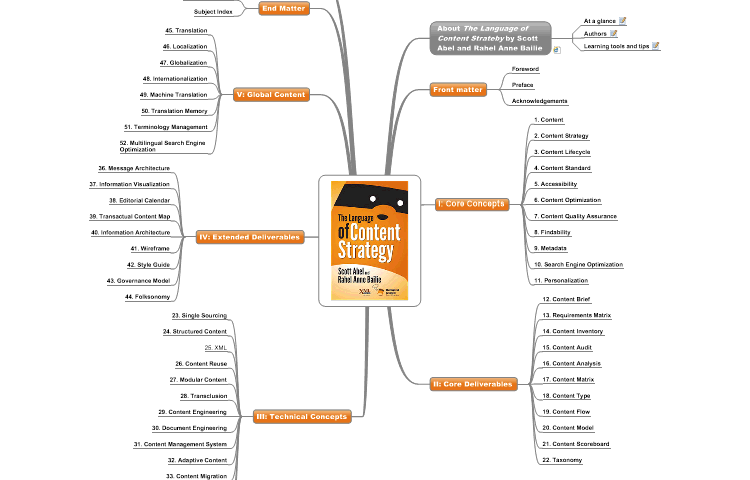 Look at your map in a holistic way including the central theme and its sub-topics. This will trigger a self-explanatory process. Arrange chronologically.Your primary topics should appear primarily to achieve a logical sequence and logical understanding. If you don’t see things are arranged based on ideas, and then structure your map in a way that will make sense. Don’t leave topics astray around your map.